I was waiting for a bus home to Armley at a bus stop on the Headrow in Leeds. At about 2230 hhrs. And this School Bus stops at the next stop. 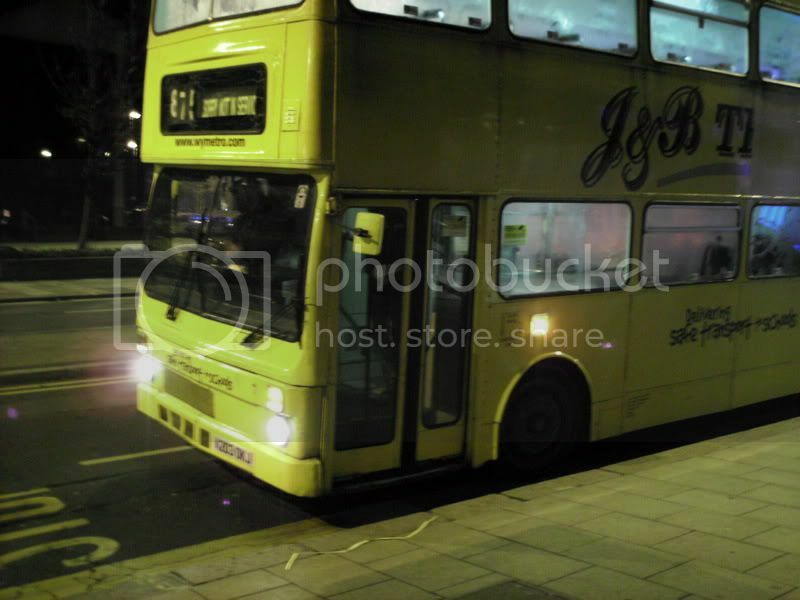 It would appear to be a school bus, but I didn’t want to go to school….. Perhaps it is the night school bus…. Or maybe the big scholars who got out were in detention…. 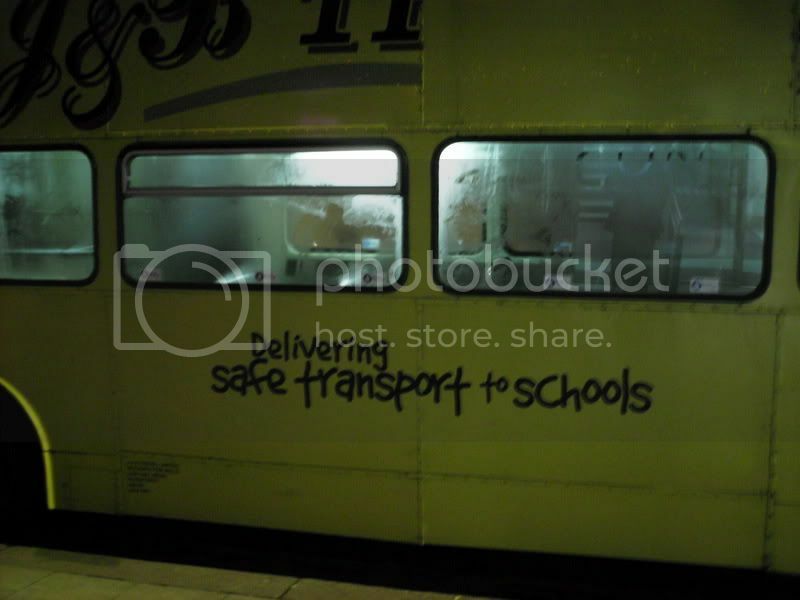 Delivering safe transport to schools….